Berlin - Berlin-based part-time sausage seller Enrico Koelling is hoping to write history on Saturday by becoming the first German boxer to win a world title in the United States since Max Schmeling 87 years ago. Koelling juggles his training with stints at a family-run currywurst stall in the heart of Berlin selling sausages to hungry locals. "When the time allows, I stand behind the counter two or three times a week," Koelling, who is occasionally asked to sign autographs while serving, told German daily Bild. 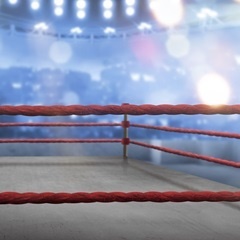 On Saturday in Fresno, California, Koelling will challenge Russia's Artur Beterbiev for the vacant International Boxing Federation light-heavyweight title. If he wins, Koelling, 27, will be the first German to win a global belt in America since Schmeling won the NBA - now the World Boxing Assocation (WBA) - world heavyweight title at Yankee Stadium, New York, in June 1930. However, Koelling has his work cut out as Beterbiev has won all of his 11 fights without going the 12 rounds and has claimed victory in the last nine by either knock-out or technical knock-out. "With all due respect, he does not have the class to be dangerous to me," said the 32-year-old Beterbiev. "Koelling will be my 12th victim." Koelling, the WBA Inter-Continental Light Heavyweight champion, has won 23 of his 24 fights and suffered the only defeat of his career when he lost on points to Italian Mirco Ricci in February 2015.